The benefit of a Keats block is to be found when it is used on the lathe. It holds an awkwardly shaped workpiece. This can then be moved about on the face plate. This makes it easy to bore holes that will be parallel. On the milling machine the problem of moving workpieces around is inherent in the x and y movements of the milling table. 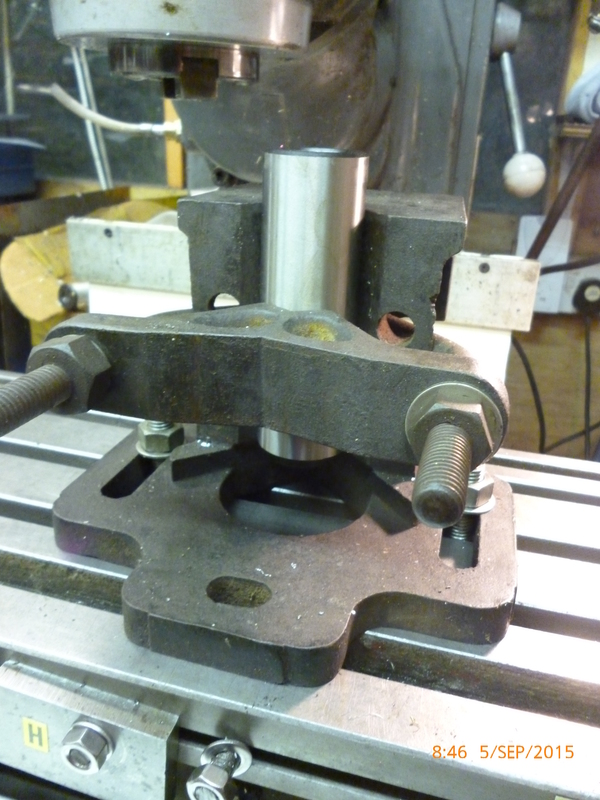 There could be times when the way a Keats block holds a workpiece could be useful. fig using a Keats block to hold a work[piece on the milling machine. But, it is worth seeing if there are other ways of achieving the same objective with tooling that already exists for the milling machine. 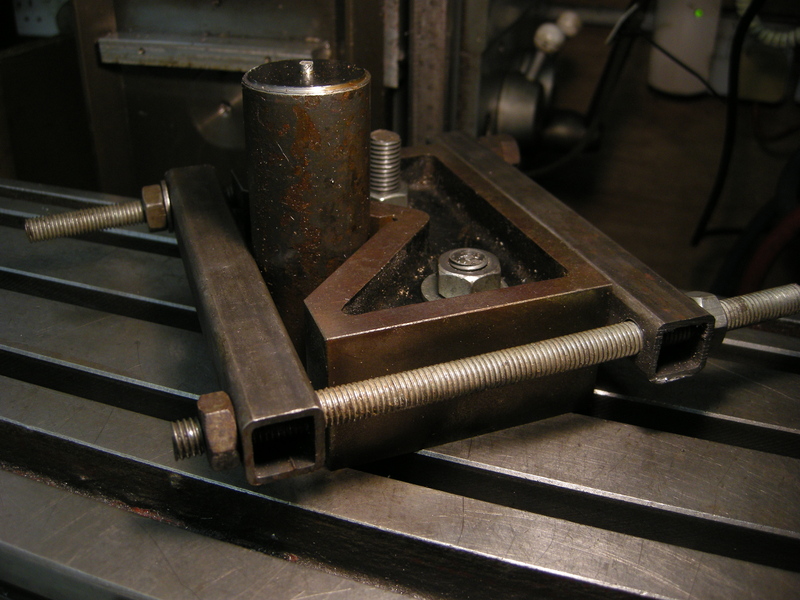 The equivalent is a V-block on its side with a clamp to hold the workpiece.